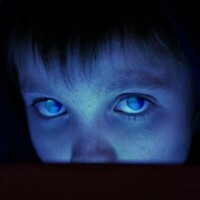 Porcupine Tree's early sound evokes a style of psychedelic rock comparable to that of progressive rock band Pink Floyd. Upon signing with Kscope record label in the late 1990s, the band approached a more mainstream alternative rock sound. By the early 2000s, the band signed to a major record label and shifted their sound again, this time in a more progressive metal direction. After the release and tour in support of their tenth studio album, The Incident, the band became inactive as Wilson began to focus on his solo career. While not formally broken up, they also have no particular reformation plans beyond "someday", with members all working on separate projects, and Wilson committing himself to his solo work through most of 2015.